In September of 2014, East Orange, New Jersey passed a sick leave ordinance with three other cities, Montclair, Passaic, and Paterson, making nine New Jersey cities with mandatory paid sick leave for all employees. Newark and Jersey City were the first cities to pass sick leave laws, but their laws differ from each other. 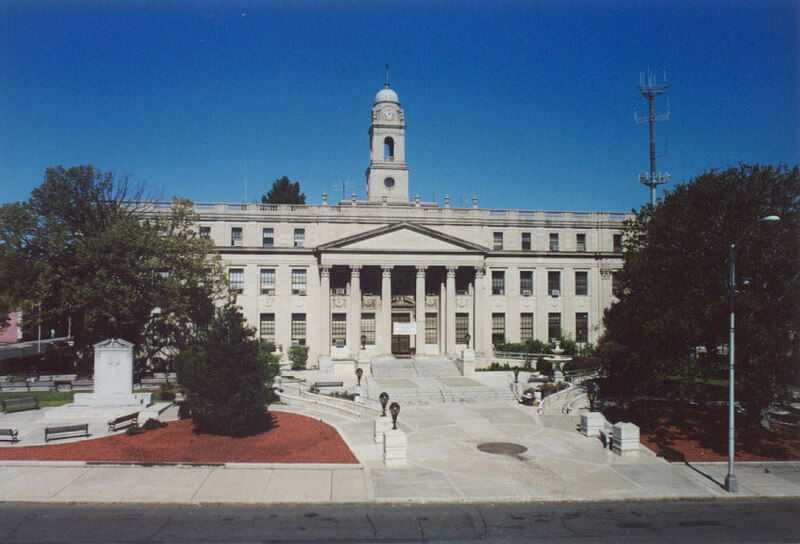 The East Orange ordinance closely follows the ordinance of Newark. Irvington, Trenton and Bloomfield also have sick leave ordinances in place. Soon three more cities would pass sick leave laws including Elizabeth, New Brunswick and Plainfield. Employers who have employees who work either full time or on an occasional basis in any of these cities must know what the sick leave laws are or be liable for violations and penalties. The purpose of this article and the other articles on New Jersey cities is to provide a clear and accurate overview of the compliance requirements for sick leave accrual and usage. Employees earn paid sick time at the rate of 1 hour for every 30 hours worked. Depending on several factors, employees can either earn up to 24 hours (3 days) of sick pay leave a year or 40 hours (5 days). Any employer with over 10 employees during the year must allow employees to earn up to 40 hours a year of sick leave. Most employers (there are exceptions) with under 10 employees must allow up to 24 hours of earned sick leave pay each year. One exception is that if an employee is a child-care worker, home health care worker, or a food service worker, they must be allowed to earn up to 40 hours of sick leave a year. This is regardless of the size of the employer. *Regardless of business size Any Child-care, home health care, or food worker can earn 1 hour for every 30 hours worked up to 40 hours a year. All employees count toward the employer size including full, part time and temporary employees. Employers can look toward the previous calendar year when determining how many employees to determine for their size. The ordinance is silent about methods of averaging employee size for businesses that fluctuate during the year. Businesses can use a calendar year or any other consecutive 12 months for a year. Additionally, any employees who are exempt under the FLSA definition of exempt employees are assumed to work a 40 hour week. If an exempt employee regularly works less than 40 hours, then that employee will accrue sick leave on their normally worked hours a week. Employees can roll up to 40 hours a year of unused sick leave. Even if they roll sick leave to the next year, employees can still only use 40 hours of sick leave in a given year. Interestingly enough, the City of East Orange’s ordinance applies specifically to the private sector. Unlike cities across the USA who have enacted sick leave laws that include city workers, East Orange made all of the cities employees exempt from the ordinance. Any worker who is employed by a private sector employer now earns sick leave. Employees must work inside of city limits for at least 80 hours a year. Federal and State government employees are exempt. As mentioned above, employees who work for the City of East Orange are also exempt. Additionally, educational employees are exempt. Specifically education employees are defined as an employee of any school district or the board of education. Lastly, construction workers who have a collective bargaining agreement are exempt. There is no mention of other union employees being exempt that are outside the construction industry. Construction includes reconstruction, demolition, alteration, custom fabrication or repair work. The collective bargaining agreement must waive the rights to sick leave in clear and unambiguous terms. Additionally, employees must have graduated from a registered apprenticeship program. The allowable uses for paid sick leave apply both the the employee’s own need or to a family member’s need. Sick leave can be used for mental or physical illness, injury or health condition. It can be used for diagnosis, care, treatment or preventative care. If the employee’s place of business is closed or the child or family members school, or place of care has been closed due to a public health emergency. Or if the child or family member has been determined by health authorities that their presence would jeopardize the health of others because of exposure to a communicable disease. This applies even if the family member or employee has not actually contracted the disease. Sadly missing from the sick leave laws are any safety clause uses for victims of domestic violence, sexual assault or stalking. Mental or physical illness: to care for, obtain diagnosis, obtain treatment, or preventative care. The employee or family member has had exposure to a communicable disease, even if the employee or family member hasn’t contracted the disease. East Orange recognizes quite a few family relationships. Children, biological, adopted, foster, step, or legal wards are recognized. Additionally children of a domestic partner or a child of a civil union are also recognized under the ordinance. Parents, including biological, foster, step, parent-in-law, and parents or guardians of a domestic partner or civil union partner are all recognized. Spouses, domestic partners, and civil union partners are allowed. Grandparents, including spouses, domestic partners, and civil union partners of grandparents are also allowed. This is a more comprehensive definition than many other cities and states allow. Lastly, grandchildren and siblings are allowed under the ordinance. Employees can take leave is 1 hour increments or the smallest time increment that other leave and work schedules are allowed for with the employer’s payroll system. For example, if employees clock in with 15 minute increments, then the employees should also be allowed to use sick leave in 15 minute increments. If an employee terminates employment with an employer, either voluntary or involuntarily, the employer does not have to pay our unused, accrued sick leave to the employee. Employees who return to the same employer for work within 6 months are entitled to be reinstated with all of their previously accrued and unused sick leave hours. Furthermore, employees who reinstate with the same employer do not have to go through another 90 day grace period before being allowed to use sick leave hours. Sick Leave begins to accrue paid sick leave on the first date of employment. However, the employee can be restricted from using accrued sick leave hours until after the 90th day of employment. Employers are allowed to lend sick leave hours to employees before accrual of hours and are under no liability for choosing to do so. Sick leave hours transfer to a new owner or successor employer. Accrued hours also transfer with employees who transfer within the same company. Employers who already offer a paid time off or vacation pay policy can continue to use their paid leave to satisfy the East Orange Sick Leave Ordinance. However, the policy must be as generous as the law requires and must allow employees to use paid time off in accordance with allowable reasons and notifications. Employers are allowed to require an employee to confirm in writing that sick leave was used for acceptable purposes. If employees use 3 or more consecutive days of sick leave, then the employer can also require a signed statement by a health care provider that sick leave was necessary. The statement cannot disclose the nature of the sick leave. Employers can also require that employees provide up to a 7 day notice of all foreseeable sick leave, such as appointments and preventative care. If notice is not practicable, then employees should notify the employee as soon as it is practicable. Employees are protected from retaliation under the East Orange Paid Sick Time Ordinance. Employees can exercise their rights, and cannot be prohibited from attempting to exercise their rights. Employers must notify employees upon hire of their rights under the ordinance. The notice has to include the right to sick leave, accrual rate, amount of sick time available for accrual, and the terms of its use. Additionally notification must include the rights of the employee against retaliation and the right to file a complaint. The notifications must be in English and any other primary language spoken by at least 10% of the employees. A poster must be placed in the workplace in an accessible place for the employees. Employers are subject of fines of $500 per day for violating the ordinance. Additionally, employers are subject to restitution to the employee. The Municipal Court oversees the compliance and enforcement of the sick leave ordinance. Employers who fail to keep good time and attendance, or timekeeping records are presumed to have violated the ordinance. It is vital for employers to maintain accurate records of employee hours, sick leave accrual and usage. The city ordinance doesn’t specifically name an amount of years for retention. Across the United States, the typical required retention period is 3-4 years. Businesses would be wise to retain records for several years as the statue has to specific time limitations of employee complaints. It is more important than ever that companies have an electronic timekeeping system that provides accurate and automatic records. This can help the company to stay compliant with employment laws and to avoid fines and penalties. Businesses who have employees in more than just East Orange may have to comply with multiple conflicting City ordinances defining Sick leave accrual and usage laws. Additionally, these businesses have to also comply with Federal Overtime Laws, the Family Leave Medical Act and any other national or local laws that are enacted. SwipeClock provides a comprehensive array of workforce management and time tracking tools that can help businesses to more easily stay in compliance with local and national laws. Records are effortlessly kept for years and accrual is automatically tracked and reported to employees according to the state and city laws. Additionally, with geo-timekeeping clocks, businesses can effortlessly track time worked in specific cities to ensure compliance.